Thanks to improving technology, there is an exciting new class of security cameras that completely ditch those cumbersome wires. These totally wireless options take power from batteries and give smart home fans many more options on where to place their cameras. We’ll take a closer look at how completely wireless security cameras work, discuss some key advantages and disadvantages, and provide several options for you to take a look at. Are Wire-Free Security Cameras Right for You? Easily the biggest advantage with a wire-free security camera is easy installation and the ability to place the device anywhere in the range of a wireless signal. If you rent a home or live in an apartment, cutting through walls and stringing power cables for cameras isn’t exactly an option. Some homeowners also may not have the DIY skills to get power to where they might want it. But with a wireless option, after some quick installation, your camera can be placed almost anywhere. This flexibility can be invaluable in a number of scenarios. On the downside, the biggest issue with wire-free cameras is the power source. Usually, the camera is powered by a rechargeable or replaceable battery. Because of that, to help preserve battery power for as long as possible, there are some important compromises. Usually, a completely wireless camera isn’t continually recording video. It will only begin when the camera senses motion and record for a short amount of time. That can sometimes cause the camera to miss a complete event. All wire-free options do allow some sort of live look on the camera even without any motion. But doing that can quickly drain the camera’s batteries. So don’t expect to view the camera’s feed live 24/7. Another disadvantage to prepare for is the price. You can usually snag a run-of-the-mill wired option for less than $100. That’s not possible with wire-free options since you pay for their flexibility. 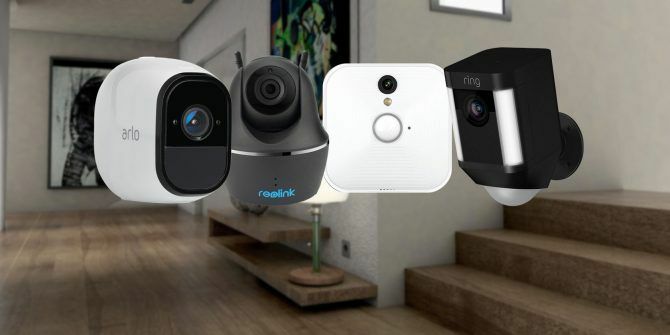 If a completely wireless security camera interests you, here are five great options that offer a wide range of different features including motion detection, video playback, and more. The Arlo Pro 2 is completely weather resistant and can easily withstand the elements and large swings in temperature. Rechargeable batteries power each camera in the system. The two-way, 1080p video feed also allows users to listen in on what’s happening (and even reply!) through the companion smartphone app. The base station that needs to be plugged into your router offers a smart siren that can be controlled from the app or when motion or sound is detected. 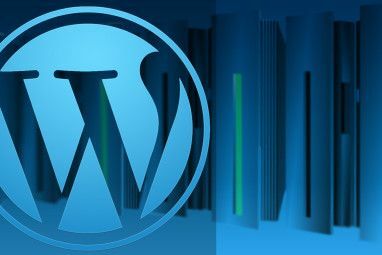 You can pay for optional cloud storage past the seven days available to all users. But an easier option is to plug in a USB drive keep recordings locally. Even though the cameras are completely wireless, they’re also compatible with a power cord. When indoors, users can take advantage of specific features including a three-second loopback feature before a motion event and the ability to set specific zones in the camera’s view to receive motion and sound alerts. There’s no need to ever worry about charging the Reolink Argus Pro when using it for outdoor surveillance. Along with a 1080p camera, Reolink includes a solar panel to keep the battery juiced up continuously. The weatherproof camera is made to be used in harsh conditions including rain and colder temperatures. Instead of being designed for full-time surveillance, a smart motion sensor can detect events and provide an alert on your smartphone. As another nice touch, there’s no need to pay for cloud storage as you can use a microSD card to store recordings. You can also drop in to view a live feed from the camera’s 130-degree field of view. The camera even features night vision that can see up to 33 feet away. If you’re interested, read more about the camera in our original Reolink Argus Pro review. A great way to start out with truly wireless home security, each camera in the Blink Home Security system is powered by two AA lithium batteries that can last for up to two years with normal usage. Once you install the Wi-Fi bridge somewhere in your home, the camera can go anywhere within wireless range. Any time the camera senses motion, you’ll receive a notification on your smartphone. You can also customize the length of a short video clip the camera records—anywhere from 10 to 60 seconds. Previous motion videos are available in the cloud for no additional monthly fee. At any time, you can take a live view of what’s happening using the companion smartphone app. When at home, you can also take a quick look at the video feed using a voice command to the Amazon Echo Show. You can easily purchase additional cameras later to expand the system. If you’re looking for exterior home surveillance, the line also includes a model that is weatherproof and features true night vision. This great option, made for use outdoors, offers more than just a totally wireless security camera. The Ring Spotlight Camera’s built-in spotlight can shine a light on what’s happening during a motion event by taking power from a removable and rechargable battery. If necessary, you can even turn on a 110-decibel siren alarm during an emergency. Two-way audio allows users to hear and speak to anyone within view of the camera. With the the companion smartphone app, you can do this from anywhere in the world. Built-in night vision will let you know what’s happening around the camera’s 140-degree field of view. Along with being able to adjust the motion sensitivity, you can customize specific schedules for motion detection. An optional Protect Basic plan is also available. Subscribers can save all videos for up to 60 days and share them with others. Another option for both indoor and outdoor use, the Canary Flex can work wirelessly or in a powered mode. Designed to record motion events, the camera uses AI to help determine whether a person, or something else, caused the event. That should help cut down on false alarms caused by animals or other factors. The camera comes with basic cloud storage, but an optional membership provides a 30-day video history, two-way communication from a smartphone app, and more. It’s also compatible with the Amazon Echo Show. Buyers can select from a black or white version of the camera. With the camera, Canary includes a 360-degree magnetic swivel base to help find the viewing angle. There are also a number of different optional mounts available too. While not a perfect choice for every situation, completely wireless cameras can provide another level of security for your home. Even considering some of the disadvantages, the technology can definitely pay off. The devices provide a look at the interior or exterior of your home without needing to worry about wires of any kind. But if you’re looking for more covert options, make sure to take a look at some great hidden camera options for checking on your babysitter The 6 Best Hidden Cameras for Checking on Your Babysitter The 6 Best Hidden Cameras for Checking on Your Babysitter Looking for a discreet security camera so visitors won't know they're being watched? Try these hidden cameras for around the home. Read More , or anyone else at a home or business. Explore more about: Home Automation, Home Security, Security Camera, Wireless Camera, Wireless Security. 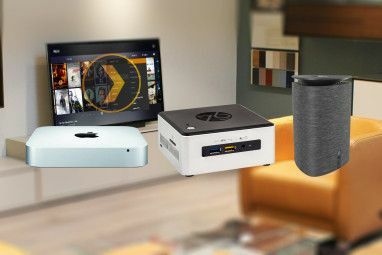 The Best Prebuilt, DIY, and NAS Solutions for a Plex ServerWhat Is Clipper Malware and How Does It Affect Android Users? Which one works with 5.0 wireless? Those are hard to find. 1. Connection is terrible. One of them is just 3m from the router and constantly loses signal. 2. The video quality is not good enough. What's the point in seeing a suspicious car stop right outside my house whn I can't read the number (license) plate? It was a shame that this article did not comment on the picture quality. I wish I had spend 2 or 3 times as much getting a professional to fit quality wired cameras. For $20, one can have a Wyze cam. Super easy to setup, live and recorded video on your phone, motion detecting, high resolution, two-way audio, records locally and to the cloud automatically. I was going to write the same thing. I have several. You don't have to pay for anything but an SD card, then nothing ever again. No subscription, nothing! So you're out about $40 per camera after taxes, shipping and SD card. A fortune of savings over the other options. I got the Arlo cameras and they stopped sending alerts after 1 day. Help seemed laborious so I returned them. Anyone getting a wifi security camera should be sure the device is (has|will be) patched again the recent KRACK vulnerability. Once the abuse of that becomes easy enough for the skiddies to use it'll become trivial for attackers to bounce the cameras on to their own network and attempt to read the streams or block your access (depending on if they want to watch you, or troll you). While you mention the Arlo Pro, there's no mention of the Arlo "Go." What makes it so special is that unlike all the others on the list that only work within range of home WiFi, the go uses 3g/4g and can truly be placed anywhere. Been sitting on the fence for a while. Now going to go with Blink, purely with it being best value and not really that far behind the pricier Arlo Pro. Also the Reolink is indoor only, so not really a contender as a real world security camera. Hey I have been using blink to monitor my apartment complex and it works awesome, took five minutes at most to set up and install each one on a brick building. You will really like it. And they just came out with phone support which helps instead of waiting on an email. Good luck to you! I have been wanting something like this for a while and it looks like I will be waiting a while longer. I used fakespot.com on each of these and everyone of them except for the Blink system got D's or F's. +1 for fakespot, great site.